Before the 2008 recession, the Eugene, Oregon area was second to Indiana in the number of RV manufacturers. Within a few years, Safari, Beaver, Country Coach, and Monaco totally stopped producing their motorhomes in that state. Employees in the industry in Oregon dropped from several thousand to several hundred. Monaco has resumed making RVs but is now in Indiana. Country Coach has continued to provide service for their coaches and other brands. They have recently produced a prototype of their Affinity motorhome and are hoping to resume manufacturing. Safari and Beaver have disappeared. The only manufacturer still in business is Marathon Coach in nearby Coburg. Earl and I toured the company in August. We concluded that while their product is ultra high in price, $1.7 to $2.5 million, it is also extreme in ideas and an appreciation for quality. 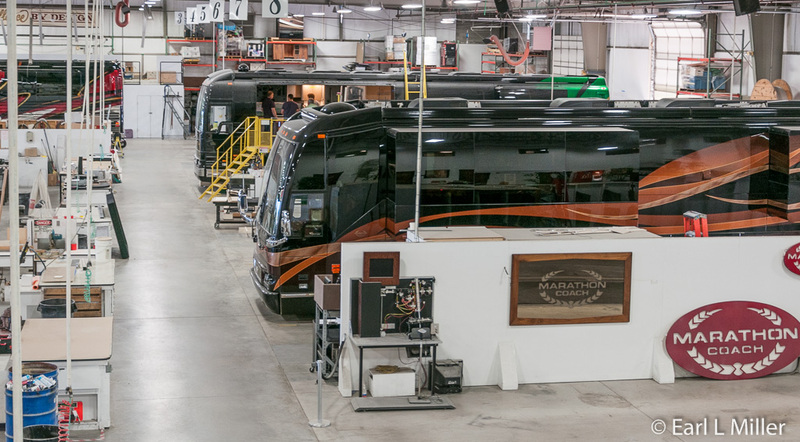 Since starting operations in September 1983, Marathon Coach, Inc. has always partnered with Prevost converting bus shells into luxury RVs and corporate coaches. In 1990, Robert A. Schoellhorn, retired Abbott Laboratories Chairman and CEO, purchased a Marathon/Prevost. He was so impressed with his motorcoach’s quality that the Schoellhorn family purchased Marathon and has owned the company since 1992. Under their leadership, Marathon is now touted as the world’s largest and most experienced luxury bus conversion company. 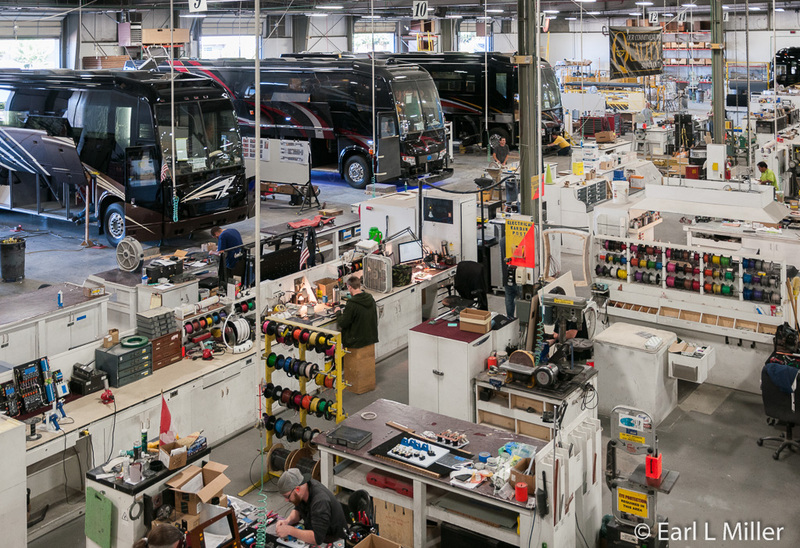 The company has produced and sold more than 1,200 custom bus conversions worldwide, an industry record. Marathon produces their motorcoaches in Coburg, Oregon while providing sales and service facilities in Oregon, Texas, and Florida. Plans are to manufacture 17 coaches in 2015 and 20 in 2016. To date, well over nine hundred coaches have been produced at this one location. 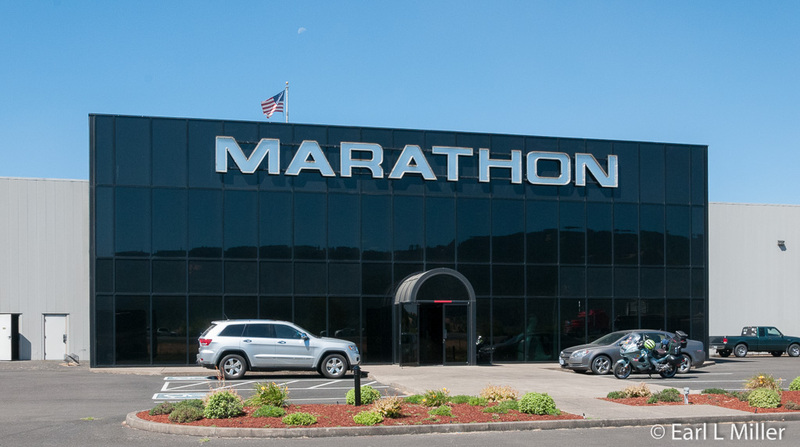 In 2013, Marathon Coach celebrated its 20th anniversary at its world headquarters at 91333 Industrial Way. The facility, built on 17.5 acres, has approximately 160,000 square feet of production space. 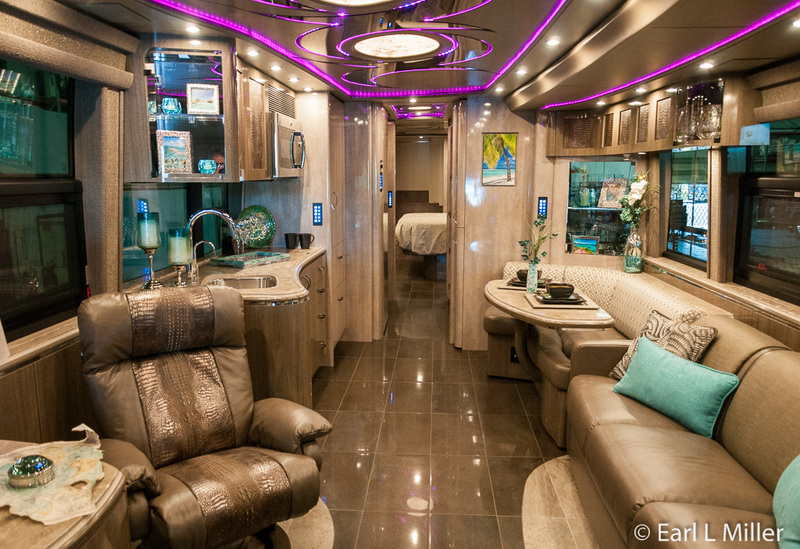 It is here that customers come to work with interior designers, engineers, craftspeople, and painters to design a totally customized coach, except for the Prevost RV bus shell. They can select their coach’s interiors and exteriors. If they want special features, the engineering staff works to see that the customer’s desire is carried out. Headquarters makes almost everything from scratch. Some exceptions are appliances, blinds, and beds. They even build their own sofas and valances. The cabin production, upholstery, composites and fabrication, metal working, solid surface counters, and glass and mirrors are all housed at headquarters. Marketing and sales departments are part of the Coburg operation. After service is also provided since headquarters houses a nine bay service center and extensive parts operation. The company also remodels a lot of preowned coaches. 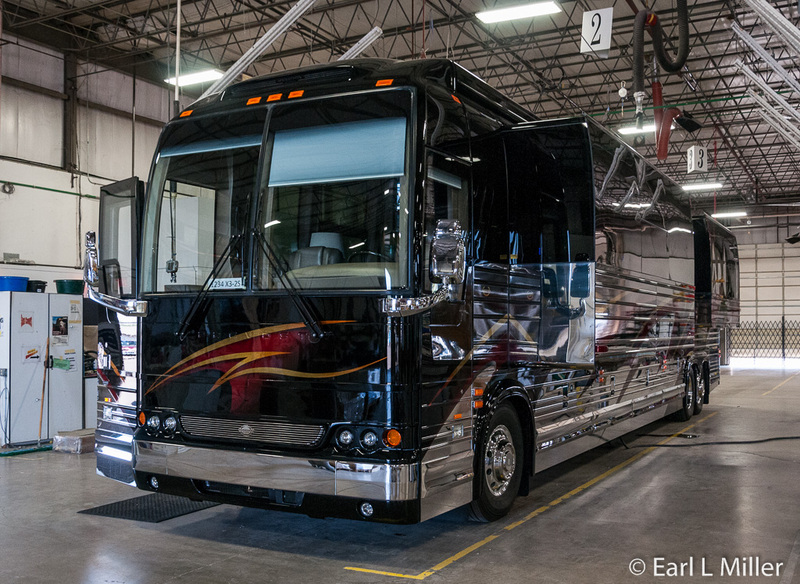 Customers receive a complete walk through of their motorcoach when it is ready for delivery, including going for a drive. Marathon has a service hot line available for after hours help. Quality management makes for long term employees. Of the 193 employees, Marathon’s average worker has more than 15 years experience. Sixty-four employees have been with the company 15 years or more while 106 have been with Marathon five years or more. Tours include a visit to the design, upholstery, and engineering facilities on the second floor. Guests can stand on balconies overlooking production for overall views and to take photos. The typical tour takes a half hour to 45 minutes. These occur at 11:30 a.m. on Monday through Friday. However, people are more than welcome to call for groups or special times. We received complete cooperation from Miki Markovich, who is assistant marketing director. Miki is a fellow writer, who understood what we needed. She led us through the usual tour then took us onto the floor. This allowed Earl the opportunity to take closeups of Marathon coaches. We were even permitted to enter one of the motorcoaches. We learned Marathon produces two models. All are built on Prevost shells and have Volvo D13 engines. They are 45 feet long. Some, depending on customer preferences, have slideouts. The differences are that the X3-45 shell has stainless steel framing with no more than two slides and an 89 inch interior height. The H3 exterior is composed of composite materials which include fiberglass. It’s wholly painted and can have zero to four slides. It has a little less interior height and a little more basement storage space than the X3. We were amazed at the number of choices Marathon’s interior designers offer customers. 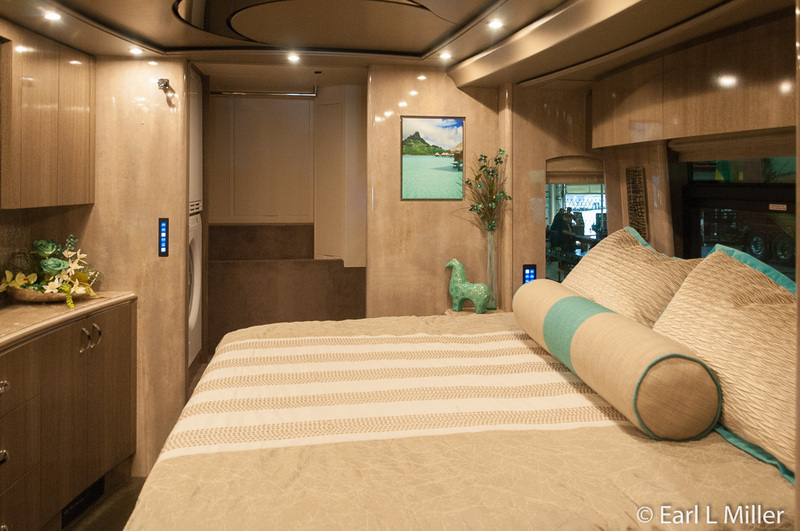 RV manufacturers, with less than a handful of exceptions, have set interior layouts with few choices of interior colors and exterior paint schemes. Most options are included as standard equipment in their most expensive models. As the price point decreases, more and more options, which the customer pays for, replace standard equipment. They also offer differences in sizes. But other customization is not available. The opposite situation takes place at Marathon. We met the interior designers and saw a wall of fabrics to select from for wall coverings, upholstery for chairs and couches, pillows and shams, bedspreads, valances, and interior trim. Customers select from tile, carpeting, or hardwood floors. 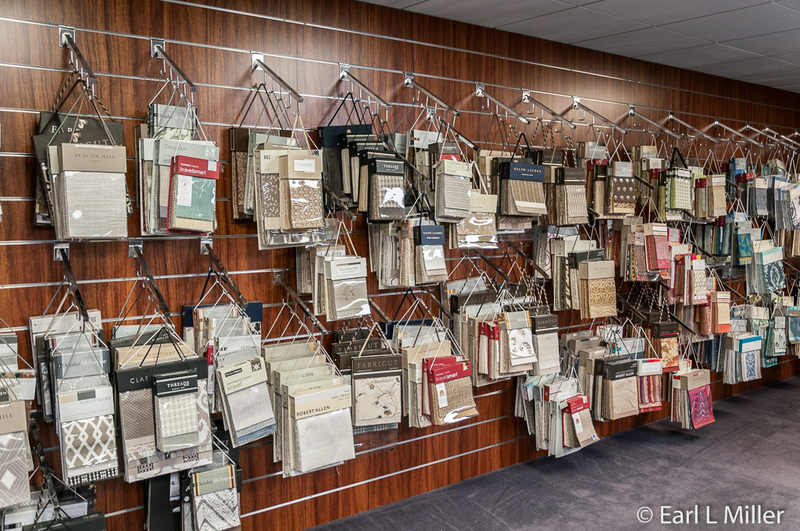 For ceilings, most customers choose leather or vinyl. Some have even selected cork, mirrors, brass, and any number of materials. Marathon does all of its own stitching. We also spoke to the engineers. We learned Marathon and Prevost engineers work together to make the RV chassis. Prevosts use monocoque construction which is 100% welded, similar to aircrafts. This enables the coach chassis to last more than a million miles. In fact, some of the coaches have reached more than the two million mile mark. The construction also reduces noise as well as expansion and contraction problems. This adds to the coach’s stability and safety. Prevost has an electronic stability program which provides improved stability in routine driving and under extreme weather conditions. The program monitors wheel speed, steering angle, lateral acceleration, and yaw, all helping the driver to avoid any loss of control while driving. Prevosts also have Aware Adaptive Cruise Control which automatically adjusts the coach’s cruising speed. It also provides safety alerts quickly. Its self-programmed tire pressure monitoring system keeps account of heat and pressure. The Volvo’s 1-VEB engine is touted as the strongest in its class at cruise RPM. These same engineers work closely with Marathon’s customers to take their vision, whether it is basic or detailed, and incorporate those ideas into a coach. For example, it’s the RV basement which is used for storage. While that normally applies at Marathon, engineers have used the basement for a golf cart garage or as a children’s playroom. “If our customers can imagine it, it can probably be done,” said Miki. We toured the carpentry and upholstery shops. At the carpentry shop, we learned designs are at the cutting edge. At the upholstery shop, we watched a sofa being made. 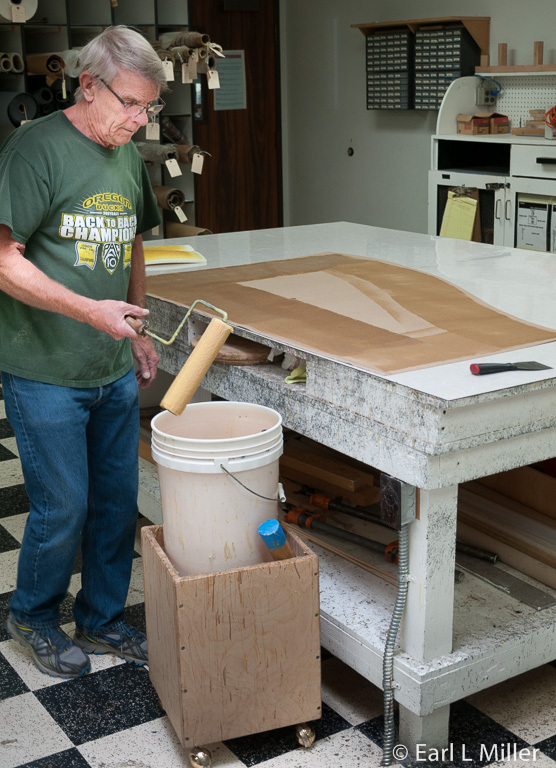 We spent time at the four full-service paint booths run by a 12-man team. Marathon uses spray guns, not robots, for painting. Before paint is applied, customized front and rear caps are added to provide a seamless integration of the awning housing. These components combine with Marathon’s custom fenders and a front grill to create the company’s signature look. Staff also checks for imperfections in the shell. They realize even minor flaws will affect the paint job. Most of the colors Marathon painters come up with are custom mixes. The team is also skilled in special effects. This includes creating texture, light-bending crystals, high-end metallics, pearlized pastels, ghosting, sponge work, and airbrushing. For the most part, standard equipment includes an outdoor entertainment center and mounted television on the bathroom wall. They also include 3D TVs and a 50-inch LED, backlit LCD television in the bedroom. The bunks-to-wardrobe option provides each bunk bed with its own audio/visual system. By pressing a button, the upper bunk lowers down to the bottom. This clears the way for a large wardrobe. The bunks-to-desk option transforms the guest area into a workspace and back again. Again, by pushing a button, the bottom curbside bunk lifts up and out of the way revealing a desk. The king-size bed can adjust to a lounging position. This allows easy maneuvering to get past the bed to the back wardrobe, even when the slideouts are in. To change the atmosphere of a coach, Marathon engineers have created a special ceiling. Because the dimmable, color-changing, LED, accent lighting is synchronized, it’s possible to change the color of the lights throughout the coach - red, blue, green. It’s also feasible, by using custom graphics, to enhance the LED backlit ceiling panels in tailor-made shapes. The X3-45 chassis has all-around scenic windows. The glass wraps the corner of the full height windows, resulting in more sunlight reaching the interior of the coach. Coaches have a solar jump start system. If the generator isn’t working, the unit goes automatically to the solar panel. Coaches are electric with no propane. Crestron is Marathon’s tool for integrating all electronic devices, whether they are for audio/visual equipment or lights, into a single command touch pad. It can affect the climate and lights in the RV and also monitor systems such as water levels and battery charge. It allows multiple events to happen in sequence by pushing one button. It’s designed to last the life of the coach. Here is one example of what it can do. Switch to the Marathon Coach app on an iPad and touch the theater button. In your motorcoach, lights dim, the TV comes on, and the movie starts on your Blu-ray player. One of the benefits of having one’s own travel website it that it allows you to meet those who manage various attractions and corporations. Some of these become friends. One example is Terry Allen who manages Foot of the Rockies Campground in Colorado Springs. In 2014, we stayed there for 2-1/2 months. The last two weeks of our stay there, upon returning to the campground, I headed daily for an hour visit with her at the office. Terry and I still telephone each other frequently. Earl and I also became instant friends with Miki Markovich, of Marathon. She is a fellow writer, who is extremely competent in her position. By the time, I arrived back at our RV, she had sent the materials on Marathon that I needed. We arranged to have lunch the following week with Miki making the plans. I had hoped to take her out for her recent birthday. She canceled that idea and met us instead at one of the area’s finest restaurants, King Estate Winery. 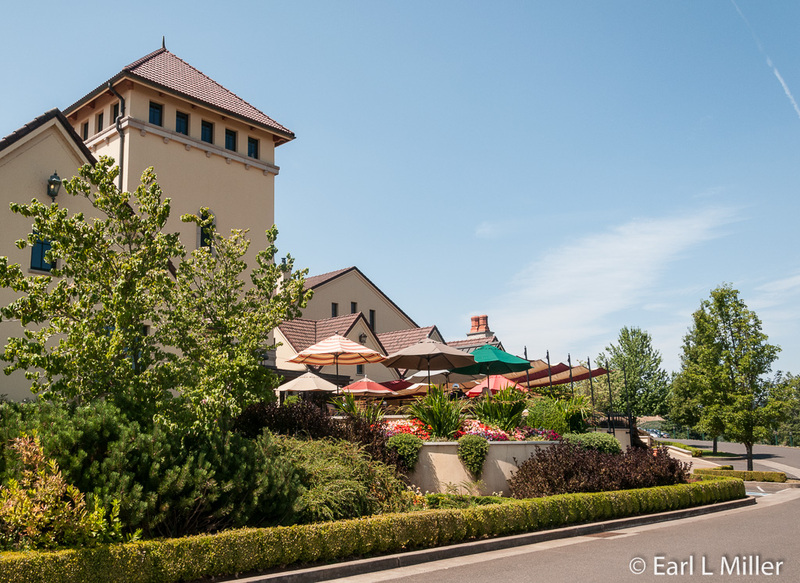 Ed King Jr. and Ed King III founded King Estate Winery in 1991. Besides its huge mansion, the estate has 465 acres of organic vineyards and 30 acres of fruits, vegetables, and flowers. 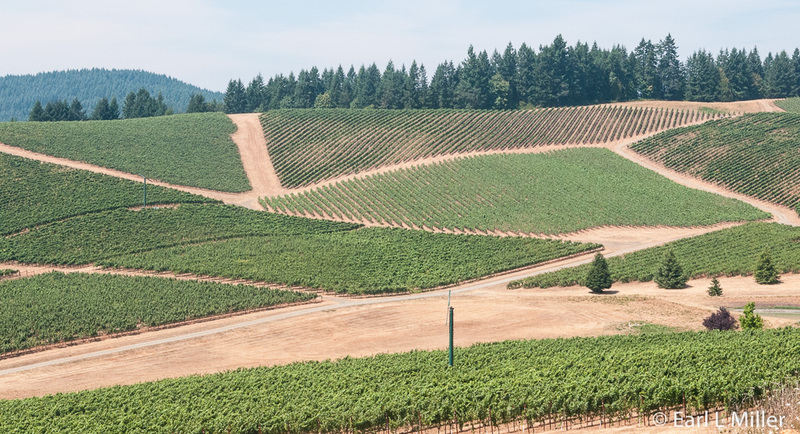 It is recognized as the world's largest, contiguous, organic vineyard. 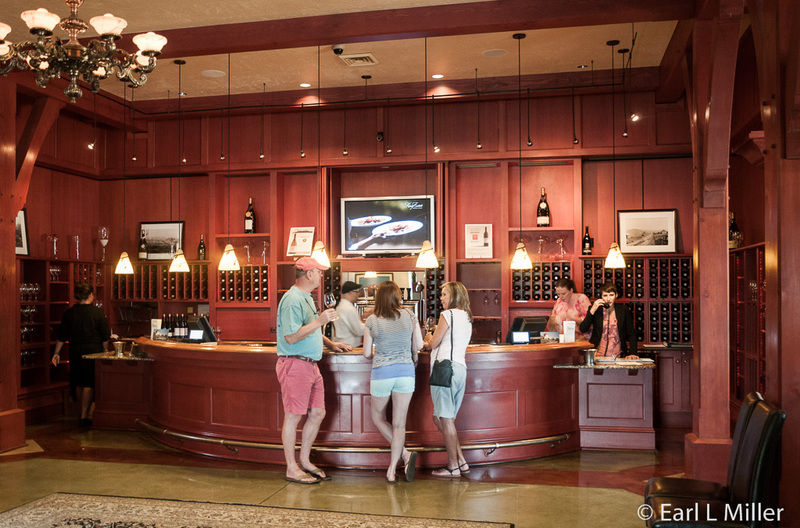 The visitor center features a restaurant and wine bar. 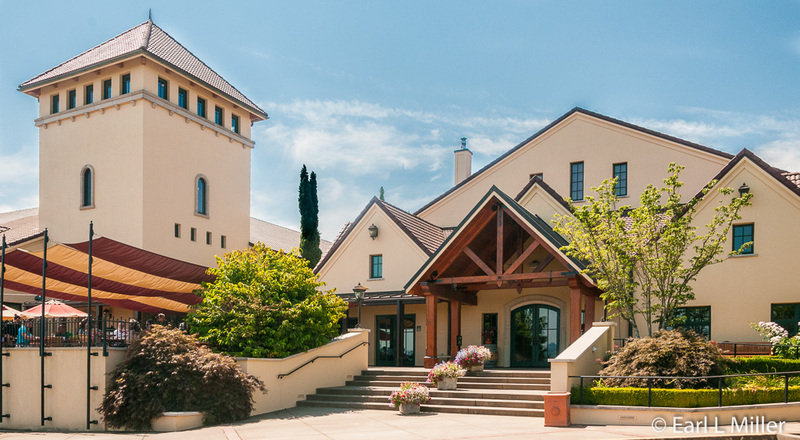 The winery offers complimentary wine tasting and winery tours, from 11:00 a.m. to 8 p.m., as well as full lunch and dinner menus incorporating estate and locally grown ingredients. 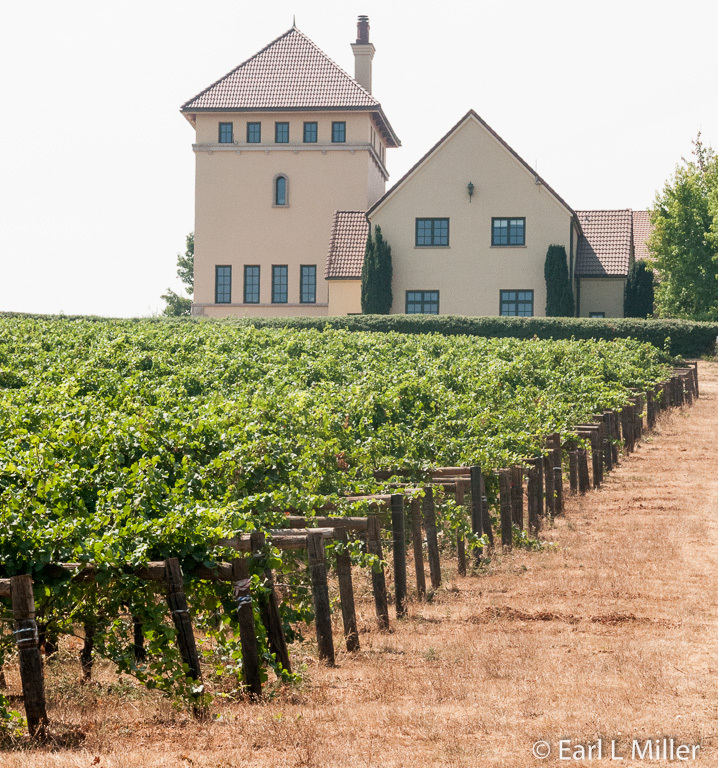 They are known nationally for their Pinot Gris and Pinot Noir though they also make Chardonnay. The lamb shank I had and the roast chicken Earl had were delicious, and cruise ships could take lessons from their creme brule. We took advantage of their patio dining which overlooks their fields. The fabulous view we had, paired with the magnificent food and great company, resulted in one of our best dining experiences on this trip. 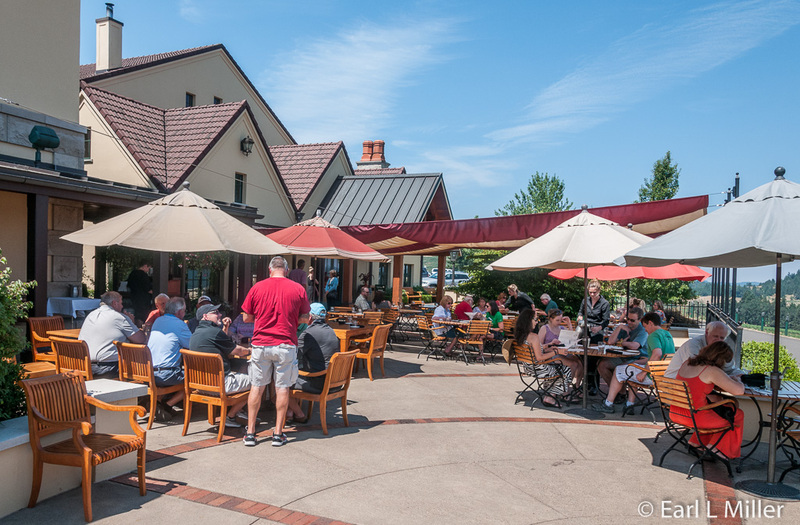 At King Estate Winery, lunch is available from 11:00 a.m. to 4:00 p.m. Monday through Friday. You can have brunch during the same hours on weekends. For dinner, it’s Monday through Wednesday 5:00 p.m. to 8:00 p.m. and Thursday through Sunday 5:00 p.m. to 9:00 p.m. Wine, cheese, and desserts are available daily during all hours. To check out their menu, go to their web site. 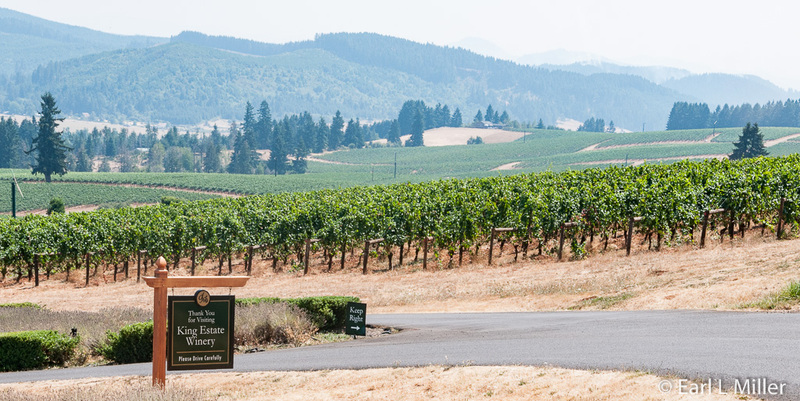 The winery’s address is 80854 Territorial Highway in Eugene. Their telephone number is (541) 942-9874. Guaranty RV does not sell Marathon motorcoaches since those are only available from the factory. However, they usually have around 750 RVs on several lots in Junction City, Oregon, representing numerous brands. They are regarded as one of the largest RV dealers west of the Mississippi River. The company’s story started in 1966 when Herb Nill purchased a Chevrolet-Oldsmobile dealership in Junction City. In the early 1970's, they added Pontiac. That was the same time, Oregon started manufacturing RVs. Caribou Coach Corporation, later renamed Monaco in 1977, helped Nill get started with two vehicles. Guaranty was Monaco’s first dealer partner and was briskly selling RVs by 1977-1978. When Country Coach unveiled their first motorcoach in 1979, Guaranty came on board, selling those also. In the 1980's and 1990's, Guaranty added more vehicles and facilities. In the mid 1980's, they added a trailer and fifth wheel center. By 2000, Guaranty was the largest dealer in Oregon and one of the biggest in the nation. They also have carved a niche as Oregon's used truck headquarters, with more than 150 pre-owned pickup trucks and SUVs in inventory. They still sell Chevrolet and GM vehicles. The company has 46 service bays. Most of their technicians hold RVIA (Recreational Vehicle Industry Association) Master Certification - the highest available honor in the industry- while their chassis technicians are ASE Certified. They are an authorized warranty repair facility for many brands. They take drop-ins and do emergency repairs. Staff even works weekends and nights. You can live in your RV while it’s being repaired since they have 30 spots with 50 amp hookups, along with water and sewer on site. Their service number is (888) 467-2109 . 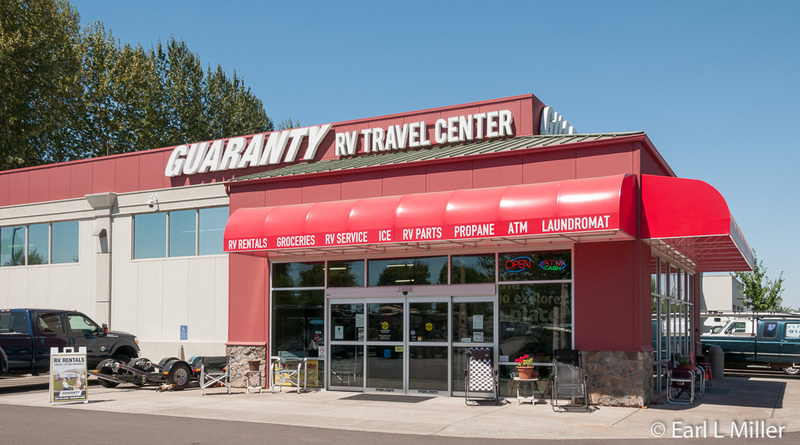 In 2013, Guaranty built their RV Travel Center which sells parts and items for RVs. I was advised that they have, in parts and accessories, over a million-dollar inventory, with a lot in stock. At this store, pick up their catalog. I found its scope very impressive. It also is a rental center for a wide variety of RV types from trailers to motorhomes. These have been popular, particularly for University of Oregon and Oregon State University tailgate parties. The store contains a convenience store offering hot food daily, such as burgers and soups; a laundromat; and a dog grooming center. It’s a location to purchase propane. Coming in 2016, a new campground with 50 full hook up sites (30 with pull throughs) will be available. It will be within walking distance of the travel center and have a clubhouse and restrooms. At 10:00 a.m., on the second Saturday of the month, from January until October, at Guaranty RV Travel Center, the company conducts free interactive seminars on a variety of subjects. These can last as long as people have questions, sometimes several hours. They’re conducted by the company’s managers and technicians. Guaranty provides free beverages, snacks, and door prizes. To register for these, call Tharon Wilson at (541) 998-4285. From Memorial Day through the week before Labor Day, the company provides each Tuesday a 15 minute talk followed by free food at their BBQ&As. Usually 50 to 75 RV owners attend these. No registration required. “Our purpose is to make the Travel Center a destination for RVers to see what the RV lifestyle is all about,” said Kyle Holland, contact marketing specialist for Guaranty. The travel store is located at 93636 Highway 99 South in Junction City. To reach Guaranty,call (888) 465-9860.